Indianapolis, Indiana – Attorney Richard Bell of McCordsville, Indiana filed suit in the Southern District of Indiana alleging Cystic Fibrosis Foundation (“ CF Foundation”),who conducts business in the district, infringed his rights in United States Copyright No. VA0001785115, the “Indianapolis Photo”. Bell is seeking actual and statutory damages, costs, attorneys’ fees, and any other relief as the court finds just and proper. Bell claims he took the Indianapolis Photo in March 2000 and registered it with the U.S. Copyright Office in 2011. Since the registration of the Indianapolis Photo, Bell has filed numerous copyright infringement lawsuits over its use and publication by other parties. In this case, Bell claims he discovered CF Foundation’s use of the Indianapolis Photo in February 2019. The Complaint asserts that CF Foundation published the Indianapolis Photo on its Website to promote a convention in Indianapolis. Bell has alleged that the CF Foundation has infringed because he believes he had the right to control and supervise the content and access of third-party Internet users to CF Foundation’s website as they utilized his photo. According to the Complaint, Bell believes CF Foundation “downloaded or took the Indianapolis Photo from the internet without” his permission and began publishing the Indianapolis Photo in or around 2013. Based on these allegations, Bell is seeking damages pursuant to 17 U.S.C. §§ 504 and 505. Indianapolis, Indiana – Attorney Richard Bell of McCordsville, Indiana filed suit in the Southern District of Indiana alleging Hana Business Group (“Hana”) conducts business in the district and infringed his rights in United States Copyright No. VA0001785115 “Indianapolis Nighttime Photo”. Bell seeks injunctive relief, judgment including statutory damages, and attorneys’ fees. Bell is an attorney and photographer who claims to have taken a photograph of the Indianapolis skyline in March 2000, which he registered with the U.S. Copyright Office August 4, 2011. Since registering his photograph, Bell claims to have used the Indianapolis Nighttime Photo in advertising to the extent that the public can identify the photo as being taken by him. Bell has also filed numerous lawsuits claiming copyright infringement of the Indianapolis Nighttime Photo since its registration. According to the Complaint, Hana does business under the name “Cheap Party Bus Rental Indianapolis Indiana.” In 2019, Bell conducted an internet search and found that the Indianapolis Nighttime Photo was published and visible to viewers on Hana’s website. Bell claims Hana utilized the Indianapolis Nighttime Photo on its website to attract prospective customers. Design Basics Files Copyright Infringement Suit Against Van Prooyen Builders, Inc.
Hammond, IN – Design Basics, LLC of Omaha, Nebraska filed a copyright infringement suit alleging Van Prooyen Builders, Inc. (“Van Prooyen”) of Lake County, Indiana, infringed Design Basics’ copyrighted architectural works. Both the “Coleton” and “Millington” plans, created by Design Basics, have been registered by the US Copyright Office under Registration Numbers VA 1-119-320 and VA 1-070-137 (the “Copyrighted Works”), respectively. Design Basics is seeking temporary and permanent injunctions, actual damages, statutory damages, Van Prooyen’s direct and indirect profits attributable to its alleged infringement, attorney’s fees, court costs, and other expenses. Design Basics is in the business of creating and licensing “architectural works” and technical drawings to be used for constructing new buildings, including homes. After creating the architectural works, Design Basics claims it registers the works with the U.S. Copyright Office before publishing or marketing the plans. Design Basics has filed many lawsuits allegedly attempting to protect its intellectual property. The Complaint asserts that the subject Copyrighted Works have generated more than $23,318.00 in licensing revenue for Design Basics since 2009. 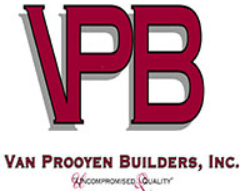 Design Basics further claims it discovered the alleged infringement by Van Prooyen in May 2016 while researching homes constructed by other builders for a different lawsuit. According to its Complaint, Design Basics sates Van Prooyen’s “Rainier” and “Abby” plans infringe on its Coleton and Millington plans, respectively. Indianapolis, IN – Richard Bell of McCordsville, Indiana filed a lawsuit alleging Kirkbooher Enterprise LLC (“Kirkbooher”), a company that conducts business in Indianapolis, Indiana, who Bell alleges infringed his copyrighted photograph. Bell’s copyrighted work, Registration No. VA0001785115, was registered by the U.S. Copyright Office on August 4, 2011. Bell is seeking an order enjoining Kirkbooher and its employees from copying and using his copyrighted works; profits derived by Kirkbooher from the use of Bell’s photo; actual and/or statutory damages, costs, reasonable attorneys’ fees, and other relief as the court may deem proper. Bell states he took the “Indianapolis Nighttime Photo,” at issue in this case, in March, 2000. The complaint alleges Bell has published or licensed the Indianapolis Nighttime Photo in compliance with copyright laws. Further, Bell claims he is the sole owner of the copyright and has utilized the photograph to promote his photography business. Bell has filed numerous lawsuits to assert his rights as a copyright owner of the Indianapolis Nighttime Photo. The complaint alleges Kirkbooher published Bell’s Indianapolis Nighttime Photo on its website created to advertise its business in Indianapolis without his authorization. Bell claims Kirkbooher used his photograph to promote its convention in Indianapolis and to attract prospective customers. Bell claims he discovered Kirkbooher’s website with his photograph using the computer program Tineye in February 2019. He also claims Kirkbooher published his photograph in 2017, but he does not yet know the exact publication date. 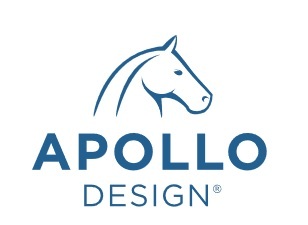 Fort Wayne, IN – Rich Iwasaki of Beaverton, Oregon filed suit alleging Apollo Design Technology, Inc. (“Apollo”) of Fort Wayne, Indiana infringed his copyrighted work, Registration No. VA 2-132-257. The Complaint alleges Iwasaki’s copyrighted work, which is a photograph of skyscrapers in Chicago, Illinois (the “Photograph”) was registered by the U.S. Copyright Office on November 28, 2018. Iwasaki is seeking actual damages, Apollo’s profits, alternatively statutory damages, costs, attorneys’ fees, punitive damages, and any other relief the court may deem proper. Iwasaki claims he took the Photograph, added his watermark to the Photograph, and that he has always been the sole owner of the Photograph and the copyright thereto. The complaint alleges Apollo published an article on its website that included the Photograph entitled Prepared to be Wowed – the 2018 DesignScapes Product Line Has Arrived! Iwasaki claims Apollo did not have a license to publish the Photograph, nor did it have his consent or permission to use his Photograph on its website. The Complaint alleges copyright infringement against Apollo pursuant to the Copyright Act, 17 U.S.C. 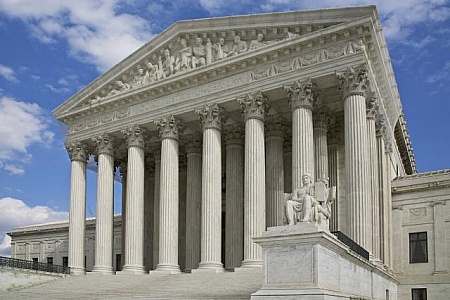 §§ 106 and 501, and damages for infringement pursuant to 17 U.S.C. § 504(b). Iwasaki also claims Apollo violated 17 U.S.C. § 1202(b) by falsifying, removing, or altering his watermark and copyright management information identifying him as the photographer. Iwasaki claims he may elect to recover the actual damages under 17 U.S.C. § 1202 or statutory damages of at least $2,500 up to $25,000 per violation of 17 U.S.C. § 1202, pursuant to 17 U.S.C. § 1203(c)(3). Indianapolis, IN – Richard Bell of McCordsville, Indiana filed three separate copyright infringement suits against Subud Greater Seattle (“Subud”), Eli Lilly and Company (“Lilly”), and Quickbook Modeling Agency (“Quickbook”). Bell claims each of the Defendants infringed his photograph, the “Indianapolis Nighttime Photo”, Registration No. VA0001785115, registered with the U.S. Copyright Office on August 4, 2008. All three suits were filed in the Southern District of Indiana and are seeking actual and/or statutory damages, costs, reasonable attorneys’ fees, and any other relief the court deems proper. All three complaints state that Bell took his photograph of the Indianapolis skyline in March 2000. He claims his photograph was first published on his Web shots account on August 29, 2000. Bell also maintains that his photograph has been used in advertisements to the point that it is identifiable by the public as being his work. After registering his photograph with the U.S. Copyright Office, Bell has filed many lawsuits for infringement of the Indianapolis Nighttime Photo. Bell further alleges that Defendant Subud conducts business in Indianapolis, Indiana and published his photograph on its website to attract customers and promote a convention taking place in Indianapolis. His Complaint asserts that while Bell discovered Subud’s use of his photograph on April 6, 2018 using Google images, Subud actually published the photograph in 2016. He claims not only did Subud not disclose the source of the Indianapolis Nighttime Photo, it willfully, recklessly, and falsely claimed to own the copyrights of every image and photograph on its website. Indianapolis, IN – Richard Bell of McCordsville, IN filed three separate copyright infringement suits in the Southern District of Indiana against GSE Audio Visual (“GSE”), Christy Joy Caley (“Caley”), Maryco Cleaning Service, Inc. (“Maryco”), and National Swimming Pool Foundation (“National Swimming”), alleging that each infringed Copyright Number VA0001785115. The copyrighted work, “Indianapolis Nighttime Photo,” was registered by the U.S. Copyright Office on August 4, 2011. Bell is seeking permanent injunctions, both actual and statutory damages, costs, and attorneys’ fees against Defendants in all three actions. Plaintiff is both a photographer and attorney who is well known for filing copyright infringement lawsuits on his own behalf. GSE is alleged to have utilized the Indianapolis Nighttime Photo on its website to promote and advertise its business within Indianapolis. Bell claims to have discovered this unauthorized use on April 5, 2018. In the Complaint filed against Maryco, Bell states it authorized Caley to create a website to promote its business. Bell further claims that Caley downloaded the “Indianapolis Nighttime Photo” and posted it on Maryco’s website without his permission. Bell discovered the use of the photo through a Google image search in December 2018, however, he asserts that unauthorized use began in 2013. 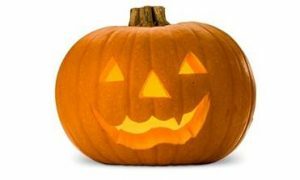 Fort Wayne, IN – Jeff Bachner of Brooklyn, New York, by counsel, filed a lawsuit alleging USA Halloween Planet, Inc. of Indianapolis, Indiana infringed U.S. Copyright Registration No. VA 2-110-419 (the “Copyrighted Work”). The Copyrighted Work is entitled “01.01.13, New Years Eve, Bachner.jpg” and was registered by the U.S. Copyright Office July 12, 2018. Plaintiff is seeking damages including punitive damages, costs, expenses, and attorneys’ fees. Washington D.C.- Attorneys for Oracle USA, Inc. and Oracle International Corporation (collectively “Oracle”) of Colorado and California, respectively, filed suit in the District Court of Nevada alleging that Rimini Street, Inc. and Seth Ravin, both of Nevada, infringed the copyrights for Oracle Software and Technology, which have been registered by the U.S. Copyright Office. A jury awarded damages to Oracle upon finding that Rimini had indeed infringed Oracle’s copyrights. The District Court awarded Oracle additional fees and costs, which included $12.8 million dollars for litigation expenses including costs for expert witnesses, e-discovery, and jury consulting. After the award of additional fees and costs was affirmed by the U.S. Court of Appeals for the Ninth Circuit, the U.S. Supreme Court held the additional costs were not appropriate under the Copyright Act. The Ninth Circuit recognized that in granting the additional damages, they were covering expenses not included in the six categories of costs that the federal statutes, 28 U.S.C. §§ 1821 and 1920 authorize. However, they affirmed the District Court’s award based on the Copyright Act giving district courts discretion to award “full costs” under 17 U.S.C. § 505. The Supreme Court held that while the “term ‘full’ is a term of quantity or amount; it does not expand the categories or kinds of expenses that may be awarded as ‘costs’ under the general costs statute.” Therefore, Oracle was not entitled to the additional $12.8 million dollar award for litigation expenses outside of the six statutory categories.